A sport cruiser with superyacht features. With a multitude of features, the sporty Astondoa 655 Coupe is more than meets the eye. With a turned-up hull that shows off an inverted angled bow (not axed but swept back) and multiple strakes, the design allows the 655 to get up out of the water and easily part the seas when the weather turns. I appreciated the form as we exited Florida’s Haulover Inlet for a sea trial. With a waterway looking more like a washing machine, David Galante, COO of G Marine in Miami, barely touched the throttle as we zoomed across the chop with nary a bounce. Nestled in one of the twin wraparound sports car-styled helm chairs, Galante pointed out that the entire yacht is designed around these seats. Astondoa carries that same sporty theme throughout. From the side, the Astondoa 655 has a generous freeboard for a drier ride and voluminous interior space. Hull windows and ports are inconspicuous behind the full-length blackout swaths down the hull side, like a racing stripe. 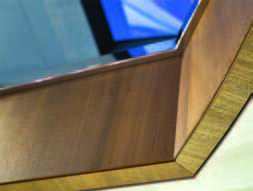 Even the swim platform highlights a unique design. When viewed from the aft, it resembles the back end of a high-priced sports car (chrome tailpipes not included). Full walk-around decks get you from the forepeak sunpad to the aft-deck sunpad, unimpeded by toe-busting cleats. Astondoa placed the aft sunpad—large enough to comfortably seat a few people—over the engine room, thanks to the Volvo IPS 1200 engines with pods allowing for the power plants to be installed further aft than conventional engine/transmission packages. On the main deck, the Astondoa 655’s L-shaped settee is along the aft bulkhead and port corner, facing backward, giving guests a spectacular view. 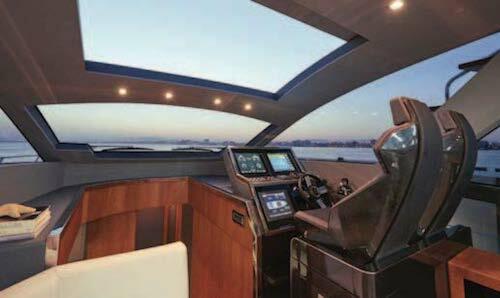 Slide open the aft door and with a “click,” the door and bulkhead window recess into a lower pocket, completely out of the way, blending the aft deck with the salon. A full glass superstructure, including the single-pane windshield and sunroof, allows the Astondoa 655 to convert with your lifestyle desires or weather concerns. 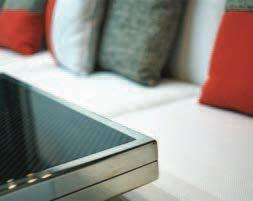 Flow is the name of the game as the 655 becomes a very “social” platform for owner and guests alike. In the salon area large U-shaped settee and twin hi-low tables with fold-out leaves, perfect for both formal and intimate dining. Looking for a more casual alfresco meal experience? Not to worry; the aft deck houses a wet bar, electric grill and fridge/icemaker below. Matching the sporty helm seats is the starboard pod-style helm console, with leather and polished metal trim against a black dash. It’s a simple layout, with room for dual Garmin multifunction displays (nav, radar, tech gauges, etc.) and a Schneider Electric touchscreen display to operate pretty much everything electrical. 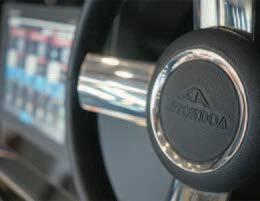 Throttle controls and the Volvo joystick controller are situated on a starboard-side console. Maintaining a focus on social areas, Astondoa designed the Astondoa 655 with a galley below, but it’s not hidden in a below deck cave as on similarly sized competitors’ models. The airy main deck is carried down to the galley thanks to an atrium-like arrangement. There’s a full complement of appliances, including a full-height Vitrifrigo fridge/freezer, covered sink with Tres faucet, Miele induction three-burner cooktop and oven, and Miele dishwasher. Upper/lower cabinets and drawers solve the storage conundrum. 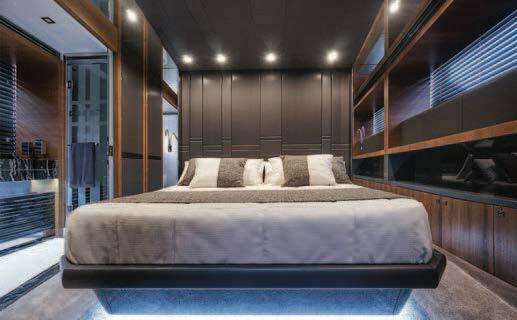 Accommodations are finished with the same standard of woods and materials as the rest of the Cristiano Gatto-designed yacht. Forward is the VIP stateroom with a center berth that is so roomy and well-appointed, it could be confused with the master. An ensuite head complete with marble countertops and sink and a shower with a rain forest showerhead makes a statement. Even the starboard guest stateroom with twin berths has ample headroom, large windows and a hanging closet. The full beam mid-ship master suite is just aft of the galley and includes a center berth with hull windows for commanding views; the head is to starboard behind sliding doors. Offering his-and-her sinks and a shower, this location allows for a deeper stateroom versus the head between the cabin and engine room. As if that’s not enough to impress, the crème de la crème are two more features not typically found on yachts in this size range. Port and starboard mid-ship fold-down platforms are accessible from the side decks, creating a mini-oasis, great for a private respite or to catch the sunset. 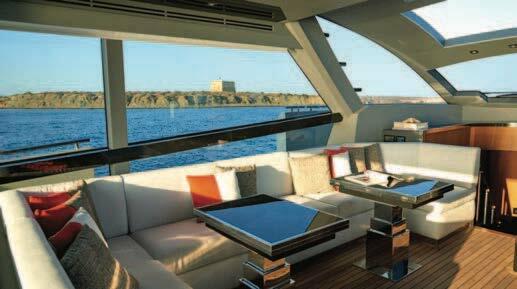 Galante commented that these decks offer “a megayacht feel.” Indeed! Astondoa also added a sun-deck lounge area to the carbon-infused cabin top. From the easy-to-navigate steps along the side of the superstructure, it’s a perfect secluded space or a sightseeing perch with unobstructed viewing. The company’s founder, Astilleros Astondoa (the “AA” trademark), may not be widely known in the U.S., but with innovative offerings like the Astondoa 655 Coupe, his 100-year-old company is certainly making its mark.